We have used Tritech Ultra-filtration membrane in our Reverse Osmosis Water Purifier (WA75C-100B), which gives it a powerful purifying action. With advanced features such as LCD interface, ultra-silent motor, intelligent filter with life cycle indicator, dual outlet technique etc. this model has earned huge appreciation in the market. 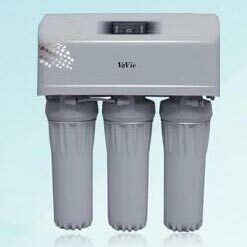 This water purifier has lined us up among the leading RO Water Purifiers Manufacturer and Supplier in Singapore.